Our Skoffín is neither deadly nor canine nor a bogey that crawled out of a rooster’s egg. 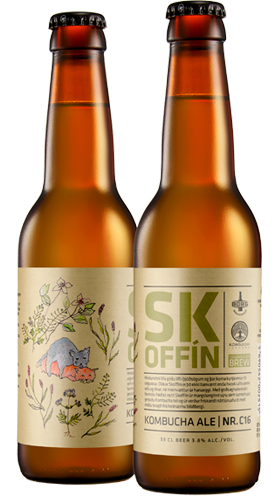 Through a mythical formula we crafted Skoffín in a sorcery of acid symphony combined with fermented kombucha tea, creating a refreshing natural fluid with a mild taste of wild arctic thyme. Sigrún Hlín Sigurðardóttir provided the graphic illustration of the Skoffín phenomenon.